Greetings. Headed to California's Wine country? In these pages I present much of the information you'll need to have a very enjoyable visit. All the Wine Regions of California now are online. Wine touring is a pleasure in all of California. 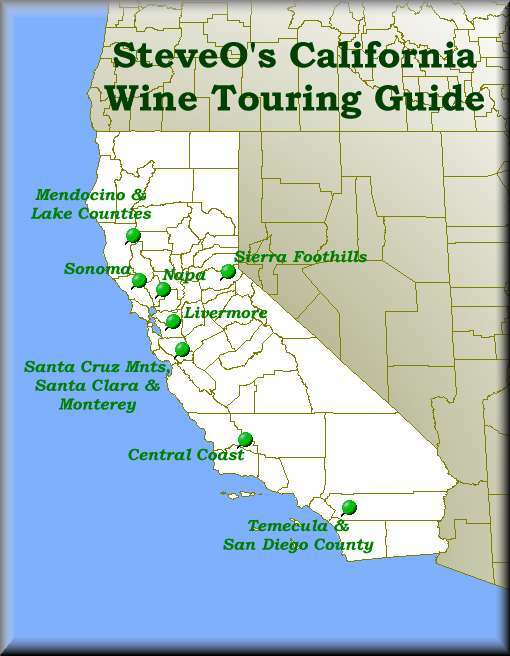 There are wineries to enjoy from Temecula in the south near San Diego to the Northern California Coast in Mendocino County to the Foothills of the Sierras. On the map image, I've shown the regions of California that produce wine.